Holocaust – brændoffer, Shoah på hebraisk – er det alment benyttede udtryk for de lidelser, de tysk-østrigske nazister i årene 1933 til 1945 påførte det jødiske folk, og hvis kulmination var mordene på ca. 6.000.000 (seks millioner) jøder. Som beskrevet i Lucy S. Dawidowicz’s “The War against the Jews 1933-45” (556 sider, Penguin Books 1975, 1987, 1990) – den bog, der internationalt nyder anerkendelse som den ultimative bog om Holocaust – var planen om at myrde jøderne, angiveligt for at sikre racemæssig renhed i det storgermanske rige, fra starten kun et tankespind i naziføreren Adolf Hitlers hjerne, dog allerede i 1929 antydet i hans bog, “Mein Kampf”. Men efter at Adolf Hitler i 1933 kom til magten i Tyskland og senere i Østrig, begyndte planen så småt at tage form, og i 1941 ved et hemmeligt møde ved Wannsee uden for Berlin, blev den endelige løsning, “Die Endlösung”, besluttet: At alle Europas jøder systematisk skulle udryddes. En række af Hitlers højst betroede SS-officerer – blandt disse Adolf Eichmann, Reinhard Heydrich og Heinrich Himmler – fik ansvaret for den praktiske udførelse af massemordet. På dette tidspunkt kontrollerede Waffen-SS og den øvrige tyske hær ikke alene Norge, Danmark, Holland, Belgien, Luxembourg og Frankrig, men også det meste af det østlige Europa, herunder Ukraine, Ungarn, Rumænien, dele af Rusland samt specielt Polen, hvor langt størstedelen af de europæiske jøder var bosiddende. I Tyskland, Østrig samt de tysk-besatte lande – med ganske få undtagelser – blev jøder registreret, frataget deres borgerrettigheder, chikaneret, torteret og sluttelig drevet sammen i ghettoer for enten at blive henrettet af de såkaldte Einsatzgruppen eller at blive tranporteret til udryddelseslejrene. Af Polens 3,3 millioner jøder blev 3,0 millioner myrdet. I Polen var hele landsbyer og byer jødiske og havde været det i hundreder af år – så med massemordet forsvandt for altid en unik del af jødedommen. For Danmarks, Finlands og Sveriges vedkommende blev de jødiske borgere for størstedelen skånet. Trods Finlands alliance med tyskerne i krigen mod russerne afviste Finlands regering indgreb overfor jøderne. Sverige var neutralt krigen igennem, og blev tilflugtsstedet for flygtende norske og ikke mindst danske jøder. Omkring 8.000 jøder – 0,2 procent af befolkningen – boede i Danmark, da landet den 9. april 1940 blev besat af tyskerne. De fleste af disse, ca. 6.500 var af gamle danske familier – resten var hovedsagelig østeuropæiske jøder, som havde bosat sig i landet før og efter Den Første Verdenskrig. Yderligere var ca. 1.500 flygtninge fra Tyskland, Østrig og Tjekkoslovakiet. De klassiske dansk-jødiske familier var helt integreret i det danske samfund – socialt, politisk og økonomisk. 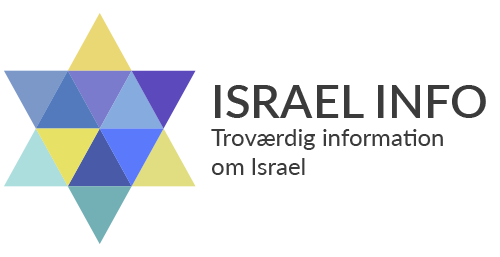 De senest tilkomne bragte zionismen med sig og yderligere en religiøs vitalitet, som var medvirkende til at forny den danske jødedom. Sammenbruddet i den såkaldte samarbejdspolitik mellem danske politikere og tyskerne i 1943 blev samtidig startskuddet til overgrebene mod de danske jøder. Men tyskernes lagte plan om den 1. oktober 1943 at indfange jøderne, blev lækket, og takket være en storstilet og internationalt anerkende aktion lykkedes det at bjærge så godt som hele den jødiske befolkningsdel til redning i Sverige, hvor de danske jøder forblev til krigen var ovre. Det lykkedes dog tyskerne at fange omkring 400 – for de flestes vedkommende gamle eller svagelige – jøder, som blev sendt til KZ-lejren Theresienstadt. De fleste af disse kom frelst hjem i Dansk Røde Kors’s busser ved krigens afslutning, mens 51 var afgået ved døden i lejren. I stand here before you, as the President of the State of Israel, the home of the Jewish People. While my heart is breaking at the memory of the atrocious past, my eyes envision a common future for a world that is young, a world free of all hatred. A world in which the words “war” and “anti-Semitism” will be dead words. Distinguished gathering, In the Jewish tradition that accompanies us for thousands of years, there exists a prayer in Aramaic recited when mourning the dead, in memory of fathers and mothers, brothers and sisters. The mothers, whose infants were torn from their arms, and the fathers, who watched in horror as their children were pushed into the gas chambers and went up in the smoke of the crematoriums, did not have the time to recite nor to listen to this ancient prayer. On this occasion, ladies and gentlemen, I wish to recite this prayer, here and now, in the name of the Jewish people, in memory of, and in honor of, the six million Jews who were turned to ashes: “יִתְגַּדַּל וְיִתְקַדַּש שְׁמֵהּ רַבָּא בְּעָלְמָא דִּי בְרָא כִרְעוּתֵהּ וְיַמְלִיךְ מַלְכוּתֵהּ וְיַצְמַח פּוּרְקַנֵה וִיקָרֵב מְשִׁיחֵה בְּחַיֵּיכוֹן וּבְיוֹמֵיכוֹן וּבְחַיֵּי דְכָל בֵּית יִשְׂרָאֵל, בַּעֲגָלָא וּבִזְמַן קָרִיב וְאִמְרוּ אָמֵן.” “Exalted and hallowed be His great Name throughout the world which He has created according to His will. May He establish His kingship, bring forth His redemption and hasten the coming of His Messiah in your lifetime and in your days and in the lifetime of the entire House of Israel, speedily and soon; and say, Amen.” And the prayer ends with the words which became a symbol in the State of Israel, a dream in the Jewish world: “He who makes peace in His Heights, may He, in his compassion, make peace upon us, and upon all Israel. And say: Amen.” My friends, the leaders of the German people and its representatives, In the State of Israel, and across the world, survivors of the Holocaust are gradually departing from the world of the living. Their numbers are daily diminishing. And at the same time, men and women who took part in the most odious activity on earth – that of genocide – still live on German and European soil, and in other parts of the world. My request of you is: Please do everything to bring them to justice. This is not revenge in our eyes. This is an educational lesson. This is an hour of grace for the young generation, wherever they may be. That they may remember, and never forget, that they should know what took place, and that they never, absolutely never, have the slightest doubt in their minds that there is another option, other than peace, reconciliation and love. Today, the International Remembrance Day for the victims of the Holocaust is the day on which the sun shone for the first time, sixty-five years ago, after six evil years, its rays revealing the full extent of the destruction of my people. On that same day, the smoke still rose above the bombed crematoriums, and the blood-stains and ashes still heavily lay on the soil of the extermination camp Auschwitz-Birkenau. The train-station platform was silent. And the “selection ramp” was empty of people. On the monstrous field of slaughter settled a deceptive atmosphere of tranquility. The ear caught only the quiet, yet from the depth of the frozen ground emanated a scream that broke human hearts, and ascended to the passive and silent heavens. On January 27, 1945, the world awoke to the fact, somewhat too late, that six million Jews were no longer among the living. This day not only represents a memorial day for the victims, not only of the pangs of conscience of humankind in the face of the incomprehensible atrocity that took place, but also of the tragedy that derived from the procrastination in taking action. This constitutes the lesson learnt from the world’s inattention in the face of the rising flames and the killing machine that operated day after day, year after year, with no opposition. Three years beforehand, on January 20, 1942, not far from here, in Villa Wannsee, on the shores of the beautiful lake, a group of senior officers and bureaucrats, headed by Reinhard Heydrich, convened to devise and coordinate the “Final Solution” plan for the “Jewish Question.” Adolf Eichmann diligently worked on a document that identified the target population intended for deportation and extermination. It encompassed all the Jews in the European continent, from the three million living in Poland, Ukraine, and the Soviet Union, to the two hundred Jews living in tiny Albania. Eleven million Jews were marked to die. The Nazis performed an effective job, and from Wannsee the path led to Auschwitz, to the gas-chambers and the crematoriums. I stand before you on this day and in this place, distinguished leaders and representatives of a different Germany, democratic, as the representative of the State of the Jews, the State of the Survivors, the State of Israel. I am humbled by the significance of this daunting and elevated position. I believe and hope that you feel as I do. I can see in my mind’s eye, at this very moment, the imposing image of my deeply respected grandfather, Rabbi Zvi Melzer, handsome and dignified. I was blessed to have been his beloved grandson. He was my guide and mentor. He was the one who taught me Torah. I see him with his white beard and dark eyebrows, enveloped in his Tallith (prayer shawl), among the congregation praying in the synagogue, in the town where I was born, Vishniev in Belarus. I wrapped myself in the folds of his Tallith and, with much emotion, listened to his clear and lovely voice. It is still ringing in my ears, as he recited the Kol Nidrei prayer of Yom Kippur, in the hours and the moments when, according to our belief, the Creator of the world determines who to life and who to death. I still remember him at the train station from which I, an 11-year-old child, started on my journey from my village to Eretz Israel. I remember his poignant embrace. I remember the last words and the order that I heard from his mouth: “My boy, always remain a Jew!” The train whistled and started on its way. I continued watching my grandfather until he disappeared from sight. That was the last time I saw him. When the Nazis came to Vishniev, they ordered all the members of the community to congregate in the synagogue. My grandfather marched in front, together with his family, wrapped in the same Tallith in which I enveloped myself as a child. The doors were locked from the outside and the wooden structure was torched. And the only remains of the whole community were embers. There were no survivors. Distinguished gathering, The Holocaust raises painful questions that touch the infinite depth of a man’s soul. To what depth of evil can man sink? And to what extent can a people that knew culture and respected the intellect remain silent? What kind of atrocities can be performed? How much can a moral compass be silenced? A rational deliberation be crushed? How can a nation consider itself to be “a superior race” and others inferior? And the question still remains today: Why did the Nazis see in the existence of Jews a great and immediate danger? What induced them to invest in the killing machine such extensive resources? What motivated the Nazis to continue operating with such determination to the very end, even though their defeat had already appeared on the horizon? Was a Jewish power threatening to block the “thousand-year Reich?” Could the persecuted people, crushed by the boot of the oppressor, stop the destructive war machine of the Nazis? How many divisions were at the disposal of the Jewish communities in Europe? How many tanks, war-planes, guns? Ladies and Gentlemen, The Nazi rabid hatred cannot be solely defined as “anti-Semitic.” This is a commonly-used definition. It does not fully explain the burning, murderous, beastly drive that motivated the Nazi regime, and their obsessive resolve to annihilate the Jews. The war’s objective was to conquer Europe; not to settle scores with Jewish history. And if we, the Jews, constituted a terrible threat in the eyes of Hitler’s regime, this was not a military threat, but rather a moral threat that stood opposite their desire that denied our faith that every man is born in the image of God, that we are all equal in the eyes of God, and that all men are equal. A Jew, even when unable to defend himself, will still sanctify God’s name, and fulfill the commandments. Since the day when the Jewish nation was founded, we have been commanded: “Thou shall not kill!” “Thou shall love thy neighbor as thyself!” “Seek peace and pursue it!” – in every situation, in every place. This naïve Jew, who believes in these commandments, I now see in front of me, in the form of my good grandfather, the most honest and beloved of men. The Nazis tried to demonize him. They burned him and his brothers alive. The flames burned their bodies. But not their spirit. They tried to depict my people in horrible propaganda films and on the pages of “Der Stürmer” as parasites, sewer-rats, and the propagators of illnesses. The Nazis tried to forget, and induce others to forget, the values of justice and mercy. As a Jew, I always carry the pain of the Holocaust endured by my brothers and sisters. As an Israeli, I regret the tragic delay in the establishment of the Jewish State that left my people with no safe harbor. As a grandfather, I cannot come to terms with the loss of one-and-a-half million children – the greatest human and creative potential that could have changed Israel’s destiny.- I am proud that we are the arch-enemy of Nazi evil. I am proud of the legacy of our forefathers, diametrically opposed to the doctrine of racism. I am proud of the revival of Israel, the moral and historic answer to the attempt to erase the Jewish People from the face of the earth. I thank the Lord that peoples rose and crushed the madness, the evil and cruelty. The Holocaust must always be prominent in our minds and in the conscience of humanity and serve as an unequivocal warning, in perpetuity, as a binding decree to uphold the sanctity of life, equality among men, freedom and peace. The murder of Jews in Europe by Nazi Germany should not be seen as a kind of astrophysical “Black Hole,” that ingests the past as well as the future. The Holocaust must not become a barrier against faith in decency, in hope and in life. I ask myself today, how would the European Jews have wanted us to remember them? Only through the smoke of the incinerators? Or to also remember life before the Holocaust? If there is a collective voice for the millions of European Jews, this voice calls upon us to look ahead. To be what the victims could have been and were not. To create anew what we lost when they were annihilated. The contribution of German Jewry, who identified with their country, to fields such as culture, science, the economy, and the standing of Germany as a whole, was extensive, out of proportion with the size of the community. In the thousand years of their existence, the Jews of Europe moved with the forces of Europe’s advances, from the golden era of Spain to the golden era of Germany. The Jews of Europe were instrumental in advancing and developing the spheres of science, technology, the economy, literature and the arts of this continent. This they achieved because, when they were banished from their countries, they were forced into a nomadic life. They were well-versed in literature, multi-lingual merchants, a people blessed with doctors, writers, scientists and artists. Many of them played prominent roles in Germany’s culture and contributed to the world at large. I am overwhelmed at the thought of the tremendous stream of visionaries and inventors that burst forth from the foundations of the Jewish towns, the Jewish ghettos, from the homes of the Jewish bourgeoisie, when Jews were permitted to enter the gates of the universities. As with the stroke of a wand, there appeared Albert Einstein, Sigmund Freud, Martin Buber, Karl Marx, Herman Cohen, Hannah Arendt, Heinrich Heine, Moshe Mendelson, Rosa Luxemburg, Walther Rathenau, Stefan Zweig and Walter Benjamin. Common to these dissimilar people is their tremendous contribution to human thinking, their contribution to modernism in their own exceptional way. They guided the sight of Europe and the world to a new future. And now we are left with the decisive lesson: “Never again”. Never again a racist doctrine. Never again the feeling of superiority. Never again a so-called “divine” authority to incite, murder, scorn the law, deny God and the Holocaust. Never again ignore blood-thirsty dictators, hiding behind demagogical masks, who utter murderous slogans. The threats to annihilate a people and a nation are voiced in the shadow of weapons of mass-destruction, which are held by irresponsible hands, by irrational thinking and in an untruthful language. To prevent another holocaust, we must educate our children to respect human life and to promote relations between peoples based on peace. To respect individual cultures and universal values, to turn every time anew to the Ten Commandments. To unlock scientific secrets with lit torches, microscopes and telescopes, to advance into the realm of new remedies for human beings and their souls. Food for the hungry, water for the thirsty, air to breathe. Knowledge for humankind. As the British Mandate came to an end, David Ben-Gurion, leader of the newly revived Jewish nation, declared the establishment of the State of Israel. The Arabs rejected the U.N. resolution and their armies attacked Israel. Indeed, a few hours after its Declaration of Independence, seven Arab armies invaded Israel, with the object of destroying it even before it was established. We faced them alone, with no allies, with our backs to the last shores of hope that the Jewish People still maintained. Had we been defeated in war, this could have been the end of our people. The IDF won this desperate battle, in which historical justice and human heroism joined forces. Holocaust survivors were already serving in the IDF, and some of them fell in the line of duty. The small Israel, while it was still licking its wounds, immediately opened its gates to the remnants of the Holocaust survivors and the multitude of Jewish refugees from Arab countries. All other gates were closed to them. Distinguished gathering, We remember that, as we were still bleeding from our wounds, help came from an unexpected quarter, from the new Germany. Two leaders, prominent in the annals of history, stretched their hands out one to the other, from the two sides of the abyss: Chancellor Konrad Adenauer, the father of the Democratic Federation of Germany, and David Ben-Gurion, the founding father and first prime minister of the State of Israel. On September 27, 1951, from the Bundestag podium, Adenauer spoke about the responsibility of the German people for the crimes of the Third Reich against the Jewish people, and the intention of his government to devise a compensation agreement for the loss of Jewish property and to help in the revival process of Israel. The decision of the government of Israel to hold direct negotiations with the German government provoked a stormy reaction thus far never experienced. Holocaust victims with death camp numbers embedded in their arms were among the stone-throwers at the Knesset; and there were those who sided with Ben-Gurion. Ben-Gurion stood by his decision: there is a new Germany. With it we have to discuss the future, not only the past. The distressed Knesset gave its consent. The restitution payments helped in Israel’s economic recovery and contributed to its accelerated development. It was my privilege at the time, as a young man, to serve as Ben-Gurion’s assistant and, later, as his deputy at the Ministry of Defense. I learned that while Israel was building its home, it also had to defend its sons. Also here we found an attentive German ear, providing us with defense equipment. Unique ties developed between Germany and Israel. The friendship that was established did not develop at the expense of forsaking the memory of the Holocaust, but from the memory of the dark hours of the past. In view of the joint and decisive decision to look ahead – towards the horizon of optimistic hope. Tikkun Olam – putting the world aright. The bridge built across the ravine was built by painful hands and shoulders that were carrying the burden of memory. It rested on strong moral foundations. We built a living memorial for our brothers and sisters, with ploughshares that turned the arid desert into thriving orchards. With laboratories that generated new life. With defense forces able to ensure our survival. On the pillars of an uncompromising democracy. We believed, and continue to believe, that the new Germany will be doing whatever needs to be done to ensure that the Jewish state will never again have to fight alone for its survival. That murderous and condescending dictatorships will never again raise their heads, in our era. David Ben-Gurion, who predicted a different Germany, was right. Thank you. From Konrad Adenauer, who found a common language with David Ben-Gurion, and Willy Brandt, who kneeled in memory of the Warsaw Ghetto heroes, and you, Members of the Bundestag and the Bundesrat, from Helmut Schmidt and Helmut Kohl, and other leaders, you strengthened the foundations and ties of friendship. And institutions, financial organizations, cultural centers, intellectuals and doers, who contributed to the enrichment of these unique relations. You, President Horst Köhler, you declared at the Knesset in Jerusalem that “the responsibility for the Holocaust is part of the German identity.” We very much appreciate this. And you, Madam Chancellor, Angela Merkel, you have conquered the hearts of our nation with your sincerity and your warmth. You said to the American Senate and House of Representatives that “an attack on Israel will equate an attack on Germany.” We shall not forget this. Distinguished Ladies and Gentlemen, Close to sixty years have passed since the founding of the State of Israel. We have withstood the test of nine wars. We reached two peace agreements, with Egypt and with Jordan. We gave back that which fell into our hands in the wars to the countries with whom we made peace. We remain a country small in size and poor in raw material. Our land is barren, yet we were still successful in developing a model agriculture esteemed by many to be one of the best in the world. We compensated for the lack of natural resources with cutting-edge scientific and technological advances that have brought us to the forefront of scientific developments. These accomplishments make up for the smallness of our land. We have seen an ingathering of exiles. The major part of the Jewish people today lives in Israel. We have regained our language. We are the only country in the region in which its citizens speak the same language that was spoken four thousand years ago – the Hebrew language, the language of the Bible. Jewish history continues to move forward on two parallel tracks: The moral track, encapsulated in the Ten Commandments. The document which was written some three thousand years ago has not required any change and has become the basis of western culture. And the scientific track, which unravels hidden secrets and breaks genetic codes, concealed in the past from the eyes of men and which, unraveled, change our lives. Israel is a Jewish and democratic state. In it some million-and-a-half Arab citizens live with equal rights. We do not allow discrimination against anyone on account of their nationality or faith. We overcame the global economic crisis and have returned to growth. Our culture is modern and traditional at one and the same time. Israeli democracy is ebullient, with never a dull moment. It never remains idle, not even in times of war. Israel’s victories did not eliminate the dangers it faces. We do not crave for land which is not ours. We do not wish to rule other peoples. But do we have the right to close our eyes? Our national ambition is distinct and clear, to make peace with our neighbors. Israel supports the principle of the “two state solution”. We paid a price in wars; we did not hesitate to also pay a price for peace. Also today we are prepared to relinquish territory to achieve peace with the Palestinians and to enable them to establish an independent, prosperous and peaceful state. Like our neighbours, we identify with the millions of Iranians who revolt against dictatorship and violence. Like them we reject a fanatic regime, which contradicts the United Nations Charter. A regime which threatens destruction, accompanied by nuclear plants and missiles and who activates terror in its country and in other countries. This regime is a danger to the entire world. We want to learn from the Europeans, who unshackled Europe from a thousand years of war and bitterness and enabled Europe’s young to substitute the hostility of their forefathers for brotherhood. It would be wise to learn from their experience, to dream about a Middle East in which its countries will depart from the conflicts of their parents on behalf of peace for their children. To establish a modern regional economy that would fight new and common challenges: Hunger, desertification, sickness and terror. To promote scientific cooperation to improve the standard of living and secure quality of life. The common god of all is the god of peace, not the god of war. Distinguished gathering, I stand here before you as a man who believes that it is in your power, and in our power, to contribute to the creation of a new history. Threats on Israel will not divert its heart from peace. I believe that peace is attainable. I stand here before you as the son of a people that aspires to contribute in every way they can to attain a world which is enlightened and lucid, where men will act as human beings to human beings. The International Holocaust Remembrance Day is a day of communion and reflection. An hour of education and hope. I started with Kaddish and will end with the Hatikva: “עוֹד לֹא אָבְדָה תִּקְוָתֵנוּ הַתִּקְוָה בַּת שְׁנוֹת אַלְפַּיִם לִהְיוֹת עַם חָפְשִׁי בְּאַרְצֵנוּ אֶרֶץ צִיּוֹן וִירוּשָׁלַיִם.” “In the Jewish heart, a Jewish spirit still sings, And the eyes look east, toward Zion, Our hope is not lost, our hope of two thousand years: To be a free nation in our land, In the land of Zion and Jerusalem.” Permit us, allow yourselves, to dream and realize the dreams.